Starbucks. Do I really need to say anymore? For starters, I think we can all agree that everything on that menu is absolutely delicious in every way, shape, and form; but let’s be honest for a second, their menu is a little bit short. What if you’re tired of the same old same old when it comes to Starbucks drinks? Well, we have great news for you: there is a Starbucks secret menu loaded with some super tasty treats that will take you to a taste bud adventure you will never forget. We have come up with a list of 40- yes, you heard correct- 40 delicious Starbucks secret menu drinks that will send your taste buds straight to flavor town. 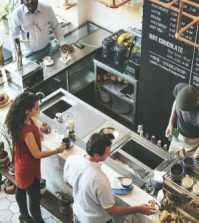 Whether you’re in need of a new frappuccino to go with your daily routine or you need a new-and-improved coffee blend to strike up your energy, you can find it here. There’s even a few lighter and refreshing treats to cool you down on those hot summer days. So what are you waiting for? Dive into this list and find the drink you’ll be ordering tomorrow morning! Bring the delicious taste of Apple Pie straight to your Starbucks frappuccino with the Apple Pie Frappuccino. Delicious hints of apple, cinnamon, and caramel, blended to perfection. If you’re more of a banana-pie loving person, then you’ll adore this tasty treat. This one will fit the banana pie mold perfectly, with a tasty hints of bananas and hazelnut flavoring mixed perfectly into a trademark vanilla bean frappuccino. Lover of all things biscotti? Then you’ll be pleased to find out that you can actually blend pieces of biscotti directly into your favorite frappuccino, whether it’s a vanilla bean or caramel- or any other type of frappuccino you absolutely adore. Add some flavor and texture to your next frap! No, this drink won’t come out and punch you right in the eyeball, but it IS a drink that will make your eyes open up! This particular drink is simply a regular coffee that is loaded up with TWO shots of espresso. So if you’re not used to espresso, you probably want to stay away from this beverage. But if you’re a Starbucks aficionado and have been indulging in coffee and espresso for years, this may be the pick me up you’ve been seeking. With a hint of toffee nut and some delectable caramel crème, the Butterbeer frappuccino is the ideal choice for someone in need of a sugar fix. It also happens to be the go-to for Harry Potter fans across the world, so enjoy this treat while engaged in your favorite Potter book. There’s something oh-so-sweet and amazing about birthday cake batter, right? Well you don’t have to wait until your birthday to indulge in this sweetness. Order the birthday cake batter frappuccino for a creamy blend of vanilla and almond that mimics real birthday cake batter perfectly. When Christmas comes around and we’re diving into all things candy canes, indulge in this delicious candy cane-tasting frap. Loaded with vanilla and peppermint for a flavorful holiday finish. Your favorite 90s cereal can now be found in your favorite frappuccino! This awesome cereal-inspired frap gives you that sugar fix with a unique blend of strawberries and crème, hazelnut, java, toffee, and even caramel. The end result? Simply delightful! Snickerdoodle cookies sure are great, aren’t they? But finding them can sometimes be a pain, and making them is an even bigger issue. Skip the hassle of seeking out Snickerdoodles and don’t lay a hand on those mixing bowls; instead, head off to Starbucks and order one of the beloved Caramel Snickerdoodle Macchiatos, with a sensational blend of caramel, cinnamon, and vanilla. Mm, there’s nothing quite like a cinnamon roll in the morning; but they can be a pain to make, especially when short on time. Skip the oven and dough and grab a cinnamon roll frappuccino instead, which is simply a vanilla bean frap with cinnamon dulce syrup whipped inside. White mocha plus a few pumps of hazelnut and cinnamon dolce leave you with a delicious breakfast cereal-inspired finish that won’t leave you craving the real thing. Umm, who doesn’t love chocolate covered strawberries? SO divine! Add a little romance and fancy flavoring to your traditional frappuccino by opting for this delightful remake. Some people simply CAN’T get enough chocolate. For those out there who dream about chocolate even in their sleep, they’re probably looking for a chocolatey fix at their favorite Starbucks. Ask your barista for the Chocolate Cream Frappucino. It’s pumped up and loaded with plenty of chocolate, blended to perfection in a creamy manner that will remind you of a chocolate milkshake. Mm, can taste the chocolatey goodness in my mouth already! In need of a sweet treat that will give you a white chocolate overload? Lovers of all things white chocolate will be in white chocolate heaven with the Chocolate Dalmation. This desirable treat is loaded up with white chocolate, chocolate, and java chips, for a finish that’s intensely chocolatey but amazingly good. On chilly fall nights you need a delicious pumpkin spice something to see you through the night; and that’s where the Chocolate Pumpkin Spice Latte comes into play. This scrumptious little treat blends together two fall favorites: pumpkin and chocolate, for an ending that’s rich and warming to the heart, body, and soul. You and ALL your girlfriends will be running to Bucks for this sensational number! There’s nothing quite like a good old fashion Oreo cookie; oh wait, there’s the Starbucks cookies and cream frappuccino. This delicious treat will give you that perfect, dessert flavor. Lots of ways to order this little number, but the best and most popular way is a white mocha frap blended with a double chocolate chip frap. Remembering times as a kid or simply reliving your fun-in-the-sun adventures last summer with cotton candy in your arms is as simple as ordering up a vanilla bean frap with a hint of raspberry flavoring for a delicious, super sweet cotton candy frappuccino. Do you love Chai Lattes? Yeah, they are pretty good, aren’t they? But sometimes they don’t give you the energy boost you really need to get through your day. If you feel your Chai Latte is lacking in the energy-boosting department, then get the Dirty Chai. They simply toss in another espresso shot so you can get that little energy boost that won’t give you an energy overload. There are few chocolates on the market that can match the delectable, luxurious taste of the Ferrero Rocher Frappuccino; and if you simply can’t wait another second to get your hands on one of those bad boys, then head off to Starbucks and get this frappuccino which matches in taste and luxury. Why settle for vanilla bean when you can switch it up and go old school for a French Vanilla Frappuccino? This classic twist simply pours in a few hints of hazelnut, caramel, and vanilla, for a really tasty finish. Looking for something on the fruity side? Maybe something that reminds you of your favorite breakfast cereal from when you were a kid? Consider ordering up a Fruity Pebbles Frappuccino! This awesome frap is loaded with sweet flavors of orange, mango, strawberries, and even raspberries. Mm, Girl Scout cookies are the absolute BEST, aren’t they? But if you’ve ran out of cookies and can’t wait another second, then order this Grasshopper frap from Starbucks and get that same sweet peppermint flavor year round. What’s a Green Eye? I am so glad you asked! Okay, let’s put it this way: you are in SERIOUS need of an energy boost. Like, there’s no amount of coffee in the world that will get you through this rough day. Okay, let me introduce you to the Green Eye. The Green Eye is loaded with THREE espresso shots to see you through even the roughest of days. You’ll be buzzing around like a little firecracker, but hey, sometimes that’s what you have to do. Here’s your warning now! I feel like this particular Starbucks secret menu drink doesn’t really need any further explanation, but just in case you really, REALLY need to know, we will fill you in. Imagine a drink with equal parts white chocolate to espresso shots. Um, yes, that’s Liquid Cocaine. Four pumps of espresso with some white chocolate and call it a day. It’s easy to say you probably won’t be sitting down for a few hours after chugging this thing in the morning. If you love Neapolitan ice cream but don’t have the time to eat it, then how about blend it all together into a tasty frap you can sip on-the-go? Love this Neapolitan frap filled with strawberry, mocha, and vanilla, as well as a hint of chocolate drizzle. The fall season means only one thing: pumpkin EVERYTHING. Dive into fall with this incredibly tasty and warming Pumpkin Pie Frap that tastes more like a pumpkin pie dessert than anything, and will give you that cozy fall feeling on the inside. Raspberry and caramel don’t seem like they would mix together very well, but this drink may surprise you. Although these flavors don’t seem like the ideal match, the two blend together in a swift and magical way that leaves you with a rather interesting flavor that you will keep coming back to day in and day out. Don’t be afraid to try this tasty treat! Yes, it’s weird, but trust me, people all across the Starbucks nation are ordering this delicious macchiato every day! An interesting combination to say the least, but a very rich and satisfying one at that. This frap makes raspberry the star of the show, unlike other drinks where it’s more of an afterthought. 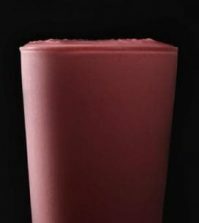 If you love chocolate covered fruits you’re bound to adore this raspberry cheesecake mocha frappuccino. Ordering a Red Eye simply means you need a regular coffee with an extra pump of espresso. It’s not enough to send you flying to the moon, but it’s definitely just the right amount to get you through that tiring work day or for those days where you need to be up through all hours of the night studying for your final the next morning. 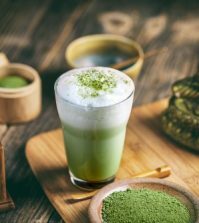 Something simple, yes, but it may be the ideal drink for you if you need an extra energy boost that day. There’s nothing that beats a delicious S’mores made by your campfire under the stars, but this delightful little number will certainly bring back the same smile to your face. A tasty treat that is loaded up with cinnamon dolce, toffee, and java chips- delish! Starbucks isn’t just for coffee and desserts; it can also be the place where you go for a very refreshing treat to cool you down! And who doesn’t love strawberry lemonade? 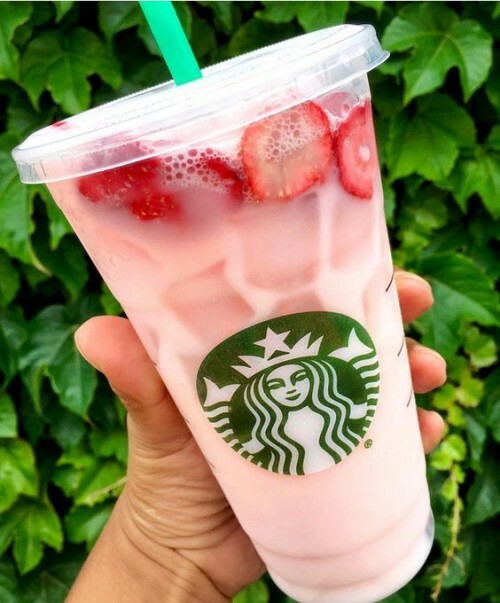 The next time you’re too hot from the sun and need a pick me up on a summers day, order the strawberry lemonade from Starbucks. If the regular frappuccino simply wasn’t creamy enough for you and you’re dying for something a little bit thicker and milkshake-like, look no further than this highly desirable SUPER cream frappuccino by Starbucks. So creamy you might not believe it! Ah, cinnamony Teddy Grahams! Everyone loves these! And now you can get your hands on these little tasty Teddy’s in liquid form. 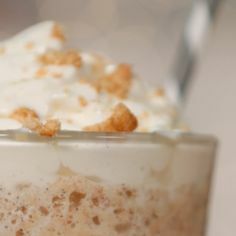 The Teddy Graham Frappuccino is the perfect combination of cinnamon and honey for a delicious, warming treat you can be served around the clock. This delightful and very refreshing drink is simply a creamy blend of orange mango juice tossed up with some vanilla bean powder and finished off with coconut milk. It is a summers dream blend, with a taste that is incredibly similar to the beloved orange creamsicle. If you want something light and airy on a hot day, order The Orange Drink from Starbucks. Simplicity at its finest, The Undertow is one of the more basic drinks on the Starbucks secret menu. All it is, is a normal coffee that has some milk at the bottom of the cup. It’s a nice switch up from your regular morning coffee routine, with nothing outrageous or overly sweet inside. If you want something that’s slightly different (yet still basically the same), then you should try out The Undertow one morning. Chocolate and mint go together like peanut butter and jelly; you simply can’t go wrong. Incredibly satisfying in every way, shape, and form, the delectable taste of chocolate is perfectly blended with a sharp yet incredibly nice minty tone for the perfect combination. Caramel, chocolate, and cinnamon. All together. Did we just say that? Yes, we did. Seriously, this latte is simply magical and will send your taste buds on a wild ride you will NEVER want to get off of. Wow, can you taste the Three C’s Latte in your mouth already? Your mouth must be watering just thinking about it- so what are you waiting for? Twix candy bars are the BEST. That caramel, the chocolate, the cookie underneath; it’s a match made in heaven. Enjoy in this taste without the mess of a real Twix candy bar by ordering up this delightful frappuccino. If you simply can’t get enough of chocolate, then you need a frappuccino that’s loaded with a tri-combination of chocolates. The Zebra Mocha Frappuccino is lined up with white chocolate, chocolate, and mocha, for a chocalatey masterpiece you will be ordering again and again. For the holiday season, there’s nothing quite like gingerbread and eggnog wrapped up into a delicious Chai latte! This drink is undoubtedly the go-to for the holidays! Are you in your car heading off to Starbucks yet?! (I don’t know how you wouldn’t be with all of these tasty treats on your mind!) 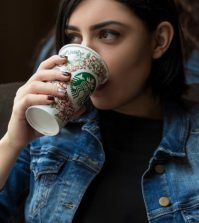 Do you know of any secret Starbucks drinks that aren’t on this list? We would love to hear (and try them for ourselves!). 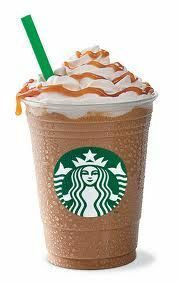 Please share with us below your favorite Starbucks secret menu items! What Are All of The Syrups You Can Get at Starbucks?